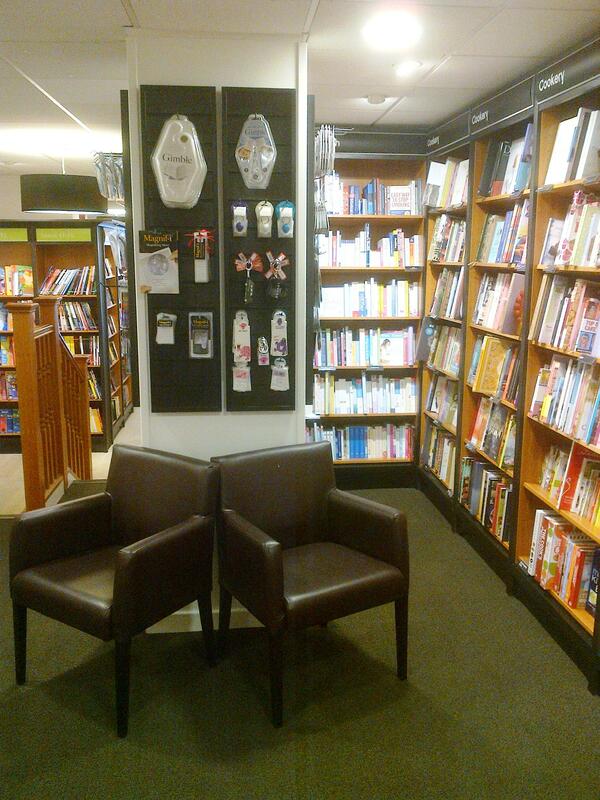 Waterstones and Amazon: A good partnership? 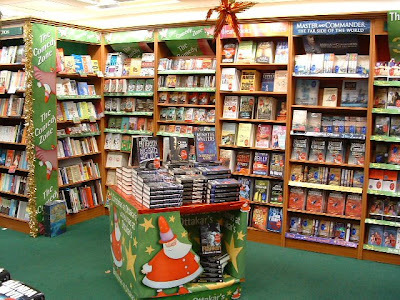 Posted: June 1, 2012 | Author: Philip Downer | Filed under: Bookshops | Tags: Amazon, Bookselling, Ebooks, James Daunt, Kindle, Online retail, Retail Week, Waterstones | Comments Off on Waterstones and Amazon: A good partnership? 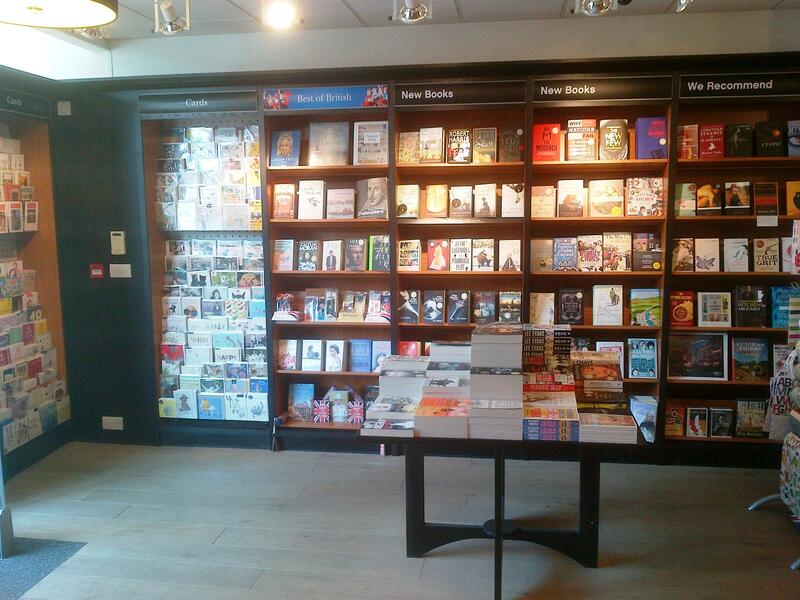 The Bookseller has rounded up some of the press commentary that followed Monday’s announcement of Waterstones’ new relationship with Amazon. Speaking to The Guardian, James Daunt stated that Waterstones’ owner Alexander Mamut is putting “tens of millions of pounds” into the store refurbishment programme, which will see roughly 100 of its stores refitted this year. 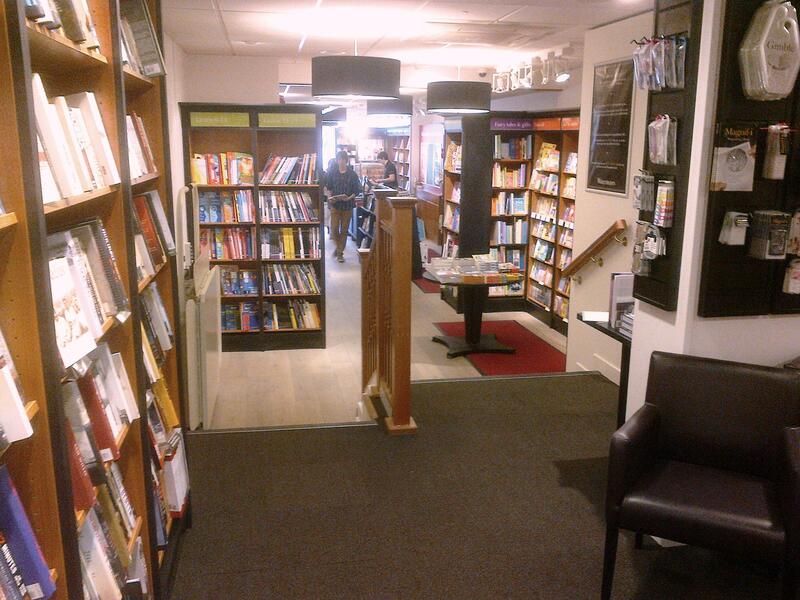 The new Waterstones look has been delivered on a carefully managed budget, but the feel of the shop has changed totally. Gone is the clutter of over-bearing fixtures and narrow aisles, and in its place is a cool, classic/modern shop. The front two-thirds of the store are uncarpeted, and now have exposed floorboards. As this photo of the front of store demonstrates, the overall appearance is clean and classy. That “gateleg” table can only carry so much stock, and is clearly not designed to have understock rammed beneath it. Cards and other impulse items are right at the front (the entrance is immediately to the left of the photo). New books merchandising is subtle – too subtle? But it’s the wooden floor that makes the real, immediate difference, reminiscent of Waterstone’s in Hampstead back in the 1980s. It exudes authority and class. Twickenham isn’t the most flexible of retail spaces – it’s a long, narrow “bowling alley”, with a two-foot jump in height in the rear third of the store. As you can see, there’s a plain carpet in here; lighting is a combination of directional spots and “domestic” lampshades, and fixtures are a mix of new (all black) and refurbed Ottakars (cherry with affixed black surrounds). Tight ceilings here, so the tops of the bookcases abut the tiles. Unless you’ve got nine-foot ceiling heights, this always induces a slight claustrophobia. The front two-thirds of the store are much airier. So, this is an attractive, sensibly sized store with the right level of sophistication for its suburban/professional customer base. I enjoyed browsing through the store, though I’d like to be surprised a little more often by the title/range choices, which mostly feel safe and generic. 1. When the Kindle tie-up goes live in the autumn, how much space will it require, whereabouts in the store, and with what effect on the overall experience? I’d hazard that the new shopfit has fewer shelves than the old, but I may have been deceived by the general decluttering – practically all spinners, dumpbins and other detritus have been consigned to the skip. With the exception of a few book tables, everything (cards, toys etc) sells from bookcase carcases now. 2. It’s often a feature of newly remodelled shops, but the feel at present is pretty sterile. The store needs more imagery, and more opportunities for the Twickenham team to share their enthusiasm with their customers. 3. Waterstones has always struggled with merchandising children’s books properly. This bay is adjacent to the central aisle; a concession has been made to tumbling tots in the form of a mat on the timber floor, but the overall effect is still one of children’s books displayed for adults to select and buy without undue lingering. The PoS is old here, so there may be a makeover in the works, but children need a safe space that is clearly merchandised for them, and becomes a place where children want their parents to take them. This was an area that (Tintin obsession notwithstanding) Ottakars tended to get right, but Waterstones still gets wrong. Of course, children’s publishing is being supplanted/enhanced (you choose) by iPad apps and other digital media, but I’d contend that the children’s printed book category is a whole lot more robust than paperback genre fiction. Particularly after Amazon has taken up residence in the shop. And Amazon-to-come is now the spectre in the corner of every branch of Waterstones. Monday’s hysteria is slowly giving way to a more measured response to Waterstones’ new partnership. More measured, but no more comprehending or enthusiastic. I’m a lover of bookshops large and small, and of course, like everyone, I understand that it’s no longer possible – no longer rational – to have pbook stores without a complementary and first-class ebook and online offer. I was very interested in this story in this morning’s Publishing Perspectives, which describes the creation in South America of an alliance between Grupo Planeta, Telefónica and Bertelsmann to create an “Airbus” to challenge Amazon’s “Boeing”. Quite what shape this project might take is unclear, but – as I argued last week at the World E-Reading Congress – publishing and bookselling can only enjoy a future that doesn’t result in total Amazon subsumption by working together – and, in the process, ensuring that a few decent bookshops survive. 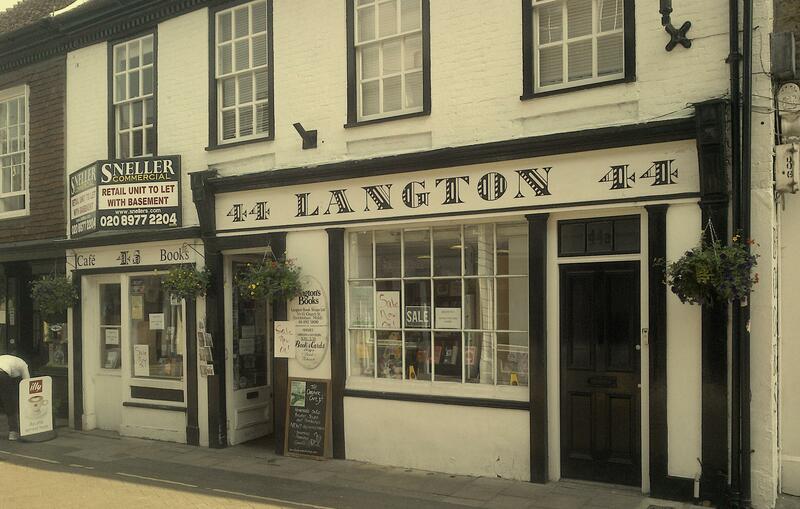 And, as of next month (and notwithstanding WH Smith), Waterstones will be Twickenham’s only bookshop, as independent Langton’s closes after over 60 years of bookselling. It’s good to see Waterstones investing in its physical future, but that investment combined with an independence from Amazon would, I guess, have been even more welcome. both merit your attention, and The Bookseller has of course been updating all day long. 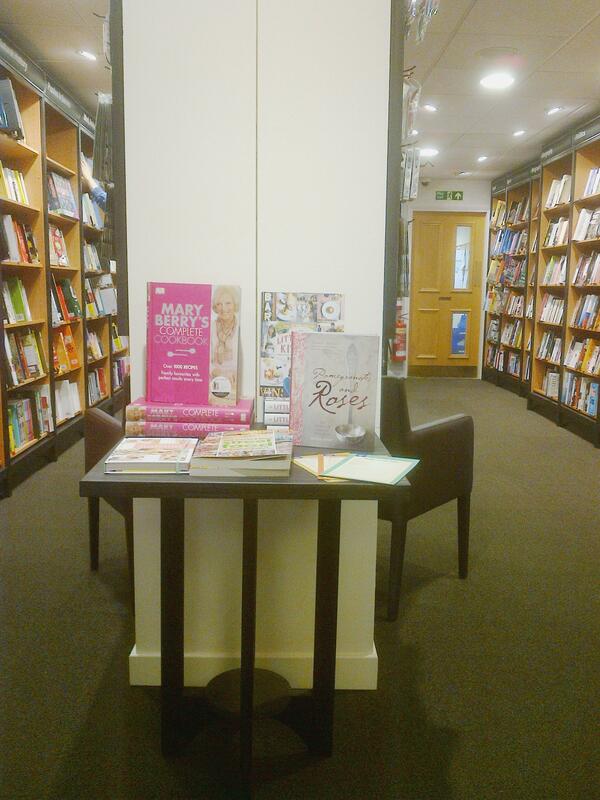 The Bookseller asked me to write an instant blogpost, and you can read it here. I don’t just draw lessons from history, but I’ve been through one consummated relationship with Amazon in my life, so some reflection is allowed! 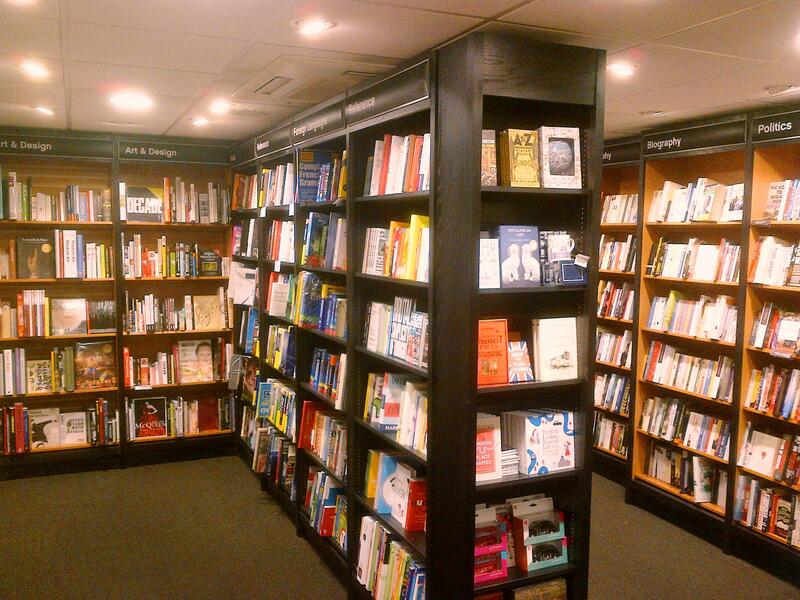 Waterstones is opening a Russian language department at its Piccadilly flagship. Called Slova, a full range of 5,000 Russian fiction and non-fiction titles will be sold from the ground floor mezzanine. Russia is a society of great literature and voracious readers – and, of course, Waterstones now has a Russian owner. You can read more in this article from the Independent. But compare the yards of English language fiction in any Dutch, Swedish or even French bookshop, to the sad couple of shelves we offer, often under the heading “Untranslated Literature”. That’s “untranslated” as in “the job was unfinished”. Worse yet, our Untranslated Literature often turns out to the very obvious (Dumas, Simenon), or translated English (Harry Potter und der Stein der Weisen, El Codigo Da Vinci). So, I salute the Mamut/Daunt initiative in Piccadilly, and very much hope that this is the start of something much bigger. London, the World City, boasts a population drawn from every corner of the world. The global village covers every demographic as well, from the bright young sandwich makers at Pret (where most of the staff were born outside the UK) to the old and the mega-rich in Chelsea and Belgravia. Most of them shop and transact business in the West End – so perhaps Waterstones’ initiative could be just a starting point. If we’re honest, the Piccadilly flagship can feel a little empty. Two floors are given over to cafes and entertaining, and the circulation space elsewhere is huge. The location has always been a little odd, in trade bookshop terms – Charing Cross Road or Bloomsbury feel appropriate, Oxford Street provides traffic, but Piccadilly…? I’d be prepared to bet that sales densities would rise, and that Waterstones’ Piccadilly store could achieve new levels of world-wide fame. Of course, a full global shipping service, easy transactions in multiple currencies, and access to the world’s pBook databases and eBooks files would also be essential, as would international events (with accompanying PR) and global village catering. But I believe London could support a single, global book superstore – one that no longer defined itself not in terms of its UK customers. Bookshops of the future, trading in a world where popular publishing is dominated by the eBook, will need to redefine themselves – typically by reference to their local communities. Piccadilly’s community is the world – so, how about it? My good friends at Publishing Perspectives are running a piece I’ve written for them on James Daunt’s imminent arrival at Waterstone’s. You can read it here. While you’re on the PP site, check out Roger Tagholm on WH Smith Travel from last week. The world hasn’t ended, but at Waterstone’s the older order departeth, and a land of milk and honey is promised for the future. Of course, the Alexander Mamut deal hasn’t been finalised yet, so Waterstone’s staffers have pulled on their purple tee-shirts again this morning, but a slight sense of unreality surrounds the aftermath of Friday’s announcement. These are brave and bullish words in the face of the current pace of change. Wealthy and educated London has been much better insulated from the changes to the trade than any other part of the country – witness Foyle’s expansion and Hatchard’s ability to stick to their knitting in the midst of the HMV whirlwind. However, shops will close – must close. Archie Norman reminded the retail trade earlier this year that a strong retailer is churning its portfolio through good times and bad, and that lopping off the worst 10% of stores should be a constant activity for any chain. With 300 stores, Waterstone’s will have at least 50 that are in sight of lease-ends, plus many more that are acknowledged to be duplicates, poorly located, poorly configured, or just tatty and run-down. Clearly there is going to be a new strategic direction at Waterstone’s, and the break with HMV and “chain practices” will be marked. But what kind of owner will Alexander Mamut be? Foreign ownership of well-loved British companies can follow many courses. Three recent examples are the shamelessness of Kraft at Cadbury; the hard words and rigorous work ethic of Tata at Jaguar-Land Rover and Corus; and the cash-splashing trophy chasing of Roman Abramovich at Chelsea FC. Unless Mamut is prepared to follow the Abramovich model, cuts and changes will have to be made, as the commercial environment for bricks and mortar bookshops continues to get more difficult. Amazon has today announced the appointment of Larry Kirshbaum, former CEO of the Time-Warner Book Group, to the new position of Publisher. They have launched two specialised ebook imprints in the last couple of weeks, Thomas & Mercer (crime and thrillers) and Montlake (romance – you have to love those “heritage” names, with shades of Lymeswold). Amazon is moving faster than it ever has before to redefine the book industry from author to user; it’s massively weakened bricks and mortar in the US and the UK, and is moving closer to my spoofy take on the future of publishing from a couple of weeks back. What to do, then, with those 300 bookshops? Or 200 bookshops, or 100 bookshops? This is Waterstone’s one golden opportunity to get it right, and I believe it has to retreat from no-holds-barred competition at the pulpier end of the market, and recreate “proper” bookshops. Perhaps this is fools’ gold, in light of Amazon’s actions, but head-on competition with supermarkets and WHS, slashing prices on Katie Prices, is not the future for this chain. Consider Harry Potter. HP3 (Azkaban) was probably the last book in the series on which specialist chains made money. After that, we had four more books generating vast, instant revenues, but sold at or near to purchase price, with the unique on-costs of midnight parties and other paraphernalia. Potter releases sucked the oxygen from the rest of the children’s book market for 2-3 weeks around release, and a greater proportion of sales went to supermarkets (often sold at or below cost, but mitigated by a full trolley of groceries) and Amazon with each new title. Harry Potter was wonderful in so many ways, but for specialist retailers, it turned into a mugs’ game. And digital? Very, very difficult. But Barnes & Noble is potentially changing hands, and this is an opportunity to create a shared (but country-specific) online and digital platform, with a reader (the Nook) that users rate highly. That’s easy to write, tougher to deliver – but with Amazon, Apple and Google all thinking global, booksellers have to do the same. And perhaps foreign ownership could provide the spur. I had a great post mapped out last night – Conran/Habitat/Mothercare/ELC/Portas with Bob Dylan and Granny Takes A Trip thrown in for good measure. You’ll have to imagine that now, as HMV has announced the sale of Waterstone’s for a chunky £53m to Alexander Mamut, with James Daunt appointed MD. – Very exciting to see James Daunt in charge – his London shops are some of the best in the country, and Marylebone is what a flagship should be. – However, the Daunt formula is unabashedly high-end, with sites in Notting Hill, Hampstead, the City etc. How will the best of this specialist approach translate to middle England, where there isn’t the propensity to buy a lot of serious books, or to pay full price for them? The trick is to take an “elitist” formula, and translate it into something that works for the middle market. – Each of these (and you could sub-divide the list further) has a different customer profile, a different landlord profile (and occupancy cost-base), and different operational requirements. If you were planning a retail chain today, you might have “big” and “small” versions of a clear offer – which is what Daunt and to some extent Foyle’s have achieved; but you wouldn’t have this agglomeration of so many different store-types, and with so much still-evident mixed parentage (original Waterstone’s, Sherratt’s, Dillons, Ottakars/Hammicks, “new” Waterstone’s). These aren’t just qualities that Daunt has quietly delivered – they have been regularly emphasised, as core beliefs and as points of business principle. 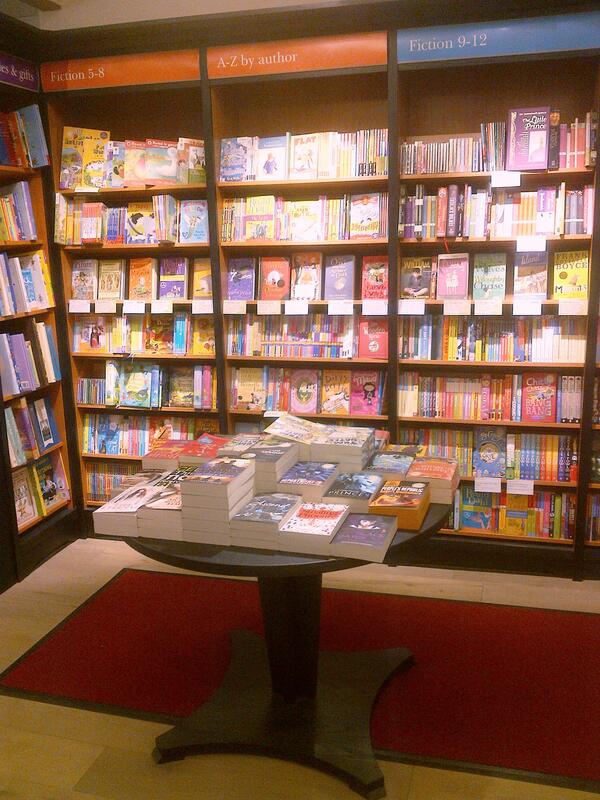 They are exactly the qualitites that work best in good independent bookshops. Which principles will survive, and what compromises will be made as the new strategic programme is rolled out? – Great news – we hope – for bookshop lovers. And accompanied by an Amazon press release, stating that, “since April 1, Amazon.co.uk customers are purchasing Kindle books over hardcover books at a rate of more than 2 to 1”. 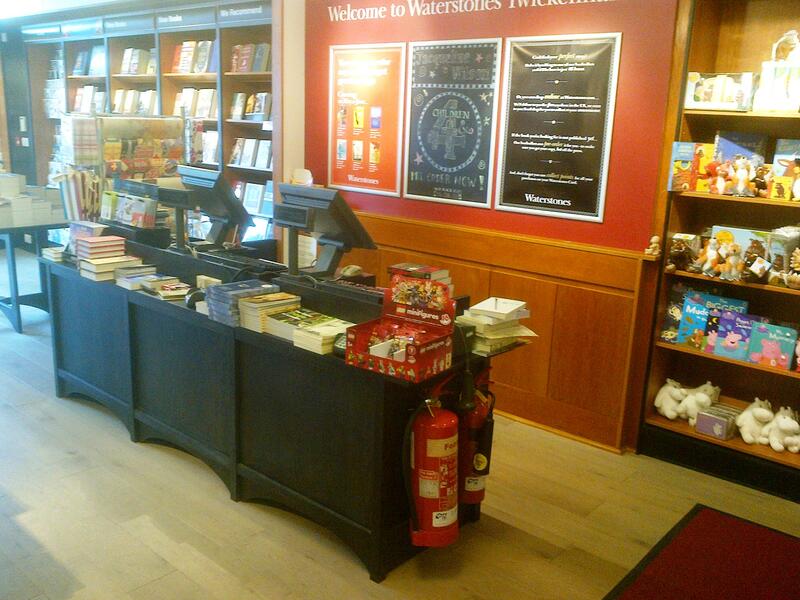 Waterstone’s is and will remain the number one bookselling chain. But it is no longer the nation’s biggest bookseller, and its suppliers will satisfy its requirements after they have delivered what Amazon wants. That’s quite enough thinking out loud for one morning. 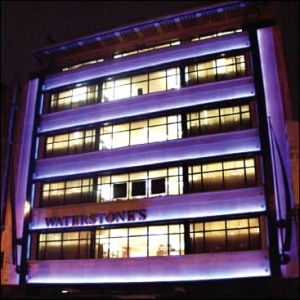 The change of ownership is a huge step forward for Waterstone’s, and they will have the support of everyone in the book trade as they reinvent themselves in the months ahead.